Julie Rochester is the guest speaker at the eighth annual Roger Kalisiak Alumni Lecture, scheduled for 7 p.m. Thursday, April 18, in the McCaerins Auditorium of the Yordon Center. Rochester is a tenured professor of athletic training at Northern Michigan University in the Department of Health, Physical Education and Recreation, where she has been director of the Athletic Training Education Program since 1998. The Roger Kalisiak Alumni Lecture is sponsored by NIU’s Athletic Training Education Program, housed in the Department of Kinesiology and Physical Education. The lecture series provides funding to bring recognized experts in the field of athletic training to campus to address students, alumni, faculty, staff and the general public about trends and issues in the field. The lecture series was established by NIU AT alumnus Roger Kalisiak and his wife, Cathy, to ensure that students and others interested in athletic training have the opportunity to interact with and learn from recognized experts working in the field. Rochester received her bachelor’s degree in PE and athletic training from Springfield College in Springfield, Mass., in 1988. She earned her Master of Science degree in exercise science from Northern Michigan University in 1995. She completed her Doctor of Education in educational leadership from the University of Phoenix in 2009. She also serves as director of Athletic Training Services for Northern Michigan University, where she previously worked in the Department of Athletics as a staff athletic trainer with primary service to football and men’s and women’s basketball. In 2007, she was appointed by the NMU president as the university’s faculty athletics representative to the NCAA and chair of the NMU Athletic Council. 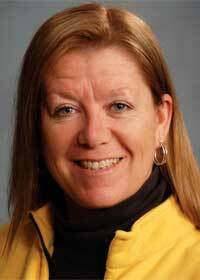 She also serves as a member of the NCAA Division II Committee on Infractions and is the current vice-chair. She is as a member of the management council and Executive Committee of the Great Lakes Intercollegiate Athletics Conference and member of the executive committee of the Central Collegiate Hockey Association. For more information, call (815) 753-1424.